Happy Monday! I've got my latest Memory Nest layout. We just went to see the tulip fields. I don't think a year can pass without going to see them. It was crazy windy this year! The weather was not nearly as nice weather as in years past, but we did miss most of the rain. It started to downpour when we got back to our car. This year, I made dutch outfits for two of my kids. They came out really cute, but I never got around to making one for Benji. Hopefully next year! This layout is for my daughter and was fun to do. Her pictures came out really beautiful. She really is starting to grow into a little lady. 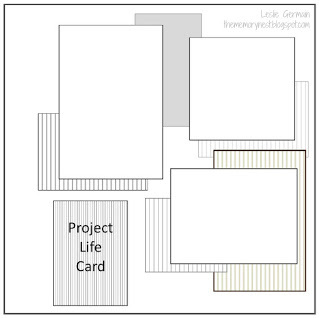 Anyways, I liked being able to use a project life card. I have way too many of those as I never get far doing them. Hopefully I'll catch up. We shall see! Beautiful pictures!! And as always, a fabulous layout!! !